Plainfield Lane is a great place to spend an evening or a rainy day. There’s a bowling league for the experts, plenty of bumper bowling lanes for the kids, and a COOL Cosmic event where you bowl with lights turned down, music turned up, and special effect lighting turning the place into something more akin to a nightclub than a bowling alley. There’s even a game room and an escape room. This scenic “links-style” course carves through pristine Illinois farmland. It’s a 6,755-yard, par 72 challenge that enjoys four sets of tees, one double green, hidden bunkers, and wide fairways. Hone your skills on the ten-acre driving range or 10,000- and 3,000-square-foot practice putting greens, or seek assistance from PGA professionals. Enjoy pre- or post-game refreshments on the outdoor patio. Acquired between 1989 and 2019, the 839-acre Lake Renwick Preserve is home to hundreds of birds, including herons, egrets, and cormorants. You could spot an American white pelican or even a bald eagle from one of the mounted scopes set up for bird viewing, or simply take a hike around their 1.44-mile crushed limestone trail. 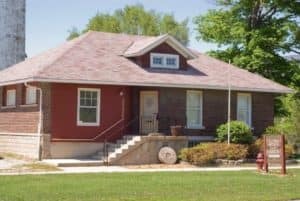 Run by the Plainfield Historical Society, the Main Street Museum brings together a fascinating array of artifacts and exhibits from Plainfield’s past. As Will County’s Oldest Community, Plainfield is steeped in history, and the Main Street Museum is the perfect place to experience it. Fancy taking in some horseback riding? Head to AZ Acres. They have plenty of lessons and camps to help novice riders get the grip of being in the saddle, and you can even arrange a photo shoot in the barn with their horses. Whether you’re cruising over from St. Charles or visiting from further afield, you’ll find plenty to do in Plainfield. Need any other ideas? Don’t hesitate to contact us today.